Who is a Certified ScrumMaster®? The Certified ScrumMaster® is a designation offered by Scrum Alliance that validates an individual as a Scrum Practitioner who can lead a Scrum project skillfully. The Scrum Master is also called the Servant Leader as he/she helps the team members to succeed in implementing the Scrum framework. What are the roles and responsibilities of a Certified ScrumMaster®? How does a Scrum Master certification come into play? The exponential growth of Scrum, combined with Scrum adoption in 65% of IT enterprises globally indicates the need for Certified ScrumMasters who can facilitate complex project execution. A CSM certification from any Global REP (Registered Education Provider) helps reinforce your industry identity as an Agilist who can lead projects to successful execution. 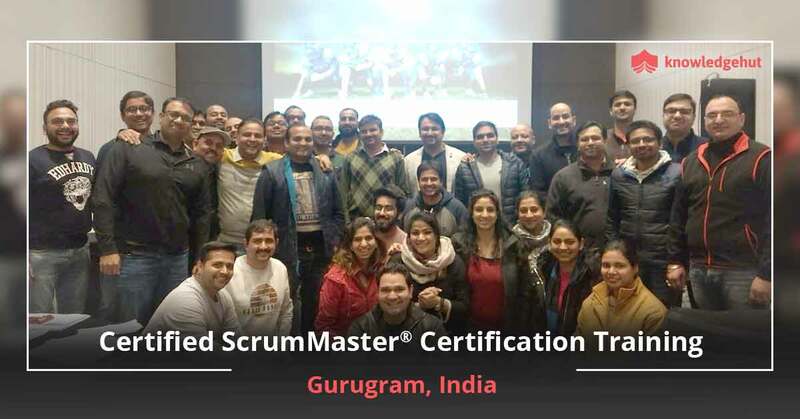 A Certified ScrumMaster® (CSM) has been taught by a Certified Scrum Trainer (CST) the Scrum terminology, practices, and principles that will enable him or her to act as a Scrum Master or Scrum team member. This credential is a first step on the Agile path. To become a true, practicing Scrum professional requires enough experience and continuing education. Does Scrum Alliance offer an online/virtual CSM course? No, there is no online/virtual course for CSM. Scrum Alliance believes that understanding Scrum requires a greater level of personal interaction than can be delivered in a virtual environment. What are the benefits of "2-year membership with Scrum Alliance"? Through this membership, you can join local user group and online social networks, get discounts on gatherings, and enjoy additional member-only resources. In addition, CSMs can use a specially designed logo to highlight their credentials. What next after Certified ScrumMaster course? 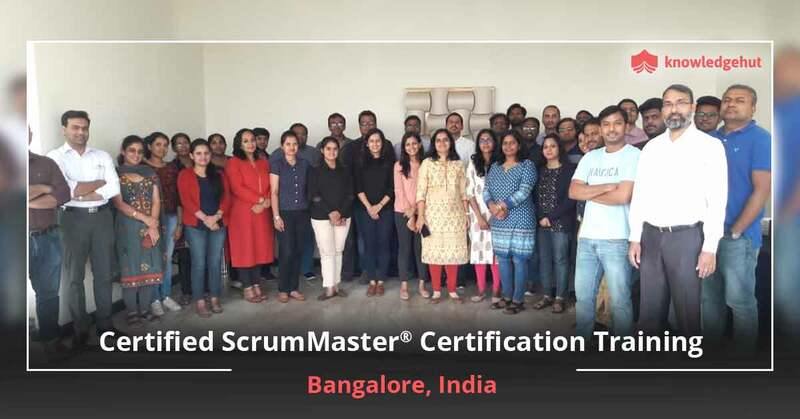 According to Scrum Alliance, a Certified Scrum Master course helps to increase the likelihood of a project’s overall success by applying Scrum principles and techniques. By understanding the values, practices, and applications, you can act as a ‘servant leader’ rising above and beyond an average project manager and helping your organization achieve meaningful goals. Will new job placement opportunities be available to me in Chicago after ScrumMaster training? Scrum framework has become the Agile framework of choice for today’s organizations. Based on a survey by VersionOne’s 2018 State of Agile Development survey, currently 56% of the Agile teams are implementing a pure Scrum approach for delivering their projects and 70% of the respondent’s organization are implementing hybrid approaches such as Scrum, ScrumBan, and Scrum/XP. Scrum framework is simple to learn but difficult to implement. The organizations implementing Scrum for the first time, require the presence of a skilled Scrum Master on a team. 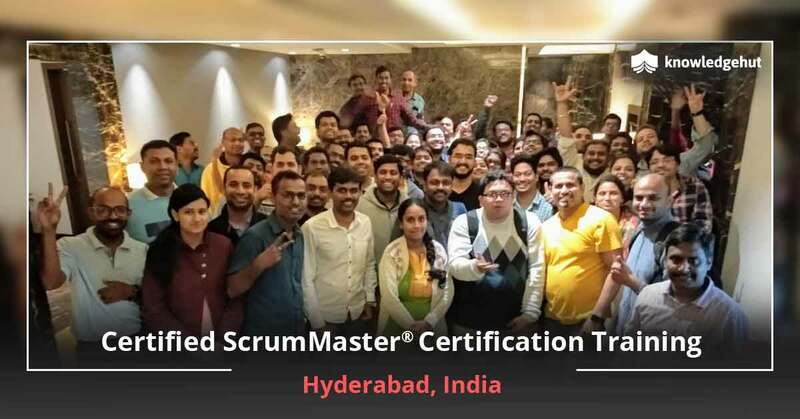 Being a Certified ScrumMaster, an individual can undertake the role of a Business Analyst, Lead Software, Engineer, Project Manager, Information Technology, Staff Scrum Master, Delivery Lead, Agile, Scrum Master, Technical Program Manager, Senior Project Manager, Agile Coach, QA Automation Engineer, Software Project Lead, etc. Agile methodology is one of the top 5 required skills, coming in at the 2nd position of LinkedIn’s list of the Most promising Jobs for 2018. This list shows that the knowledge of Agile methodologies including Scrum framework is one of the most sought-after skills today. Nowadays, Scrum has been gaining momentum in creating innovation and facilitating continuous value delivery. Scrum is easy to learn but difficult to implement. Though adopting Scrum is a challenge for the non-Agile organizations, the demand for the Scrum framework is growing exponentially today. The latest State of Scrum report says that nearly 85% of their recent survey respondents have taken up Scrum Master certification and a whopping 63% success rate of Scrum projects explains why Scrum Master certification tops the charts. Salesforce- an American cloud-based software known for its CRM product and sells a complementary suite of enterprise applications focused on customer service, marketing automation, analytics, and application development. HCSC- a not-for-profit health insurance company offering group life, disability, and dental solutions, as well as range of other individual solutions. Impact Networking- offer design strategic and cost-effective solutions for information and document workflow in the workplace. Federal Reserve Bank of Chicago- on of the twelve regional Reserve Banks that, along with the Boards of Governors in Washington, D.C., make up the nation’s central bank. TransUnion- an American consumer credit reporting agency that collects and aggregates information on over one billion individual consumers in over thirty countries. The most popular and widely used cloud and subscription-based software for Agile teams. A well-balanced tool with an appealing UI and useful Scrum features. This is the tool built and priced to scale your Agile projects. A new tool built for the real-world barriers that exist in a software development environment. This Scrum tool offers organization and structure to many components of Scrum project management. This Scrum tool enables software development teams to speed up product delivery at all levels of the organization. It offers a greater degree of visibility into your team’s progress and increases overall efficiency. This Scrum tool helps your team to collaborate better, reach goals, and improve continuously. It allows you to focus on your project, improve communication, enhance teamwork and gives you faster results. Designed for teams implementing Scrum or Kanban and supports Agile practices like root cause analysis or retrospectives. It helps to make projects more productive with a well-designed and intuitive platform. A tool that helps Agile teams plan and track their work. What next after becoming a Certified ScrumMaster? 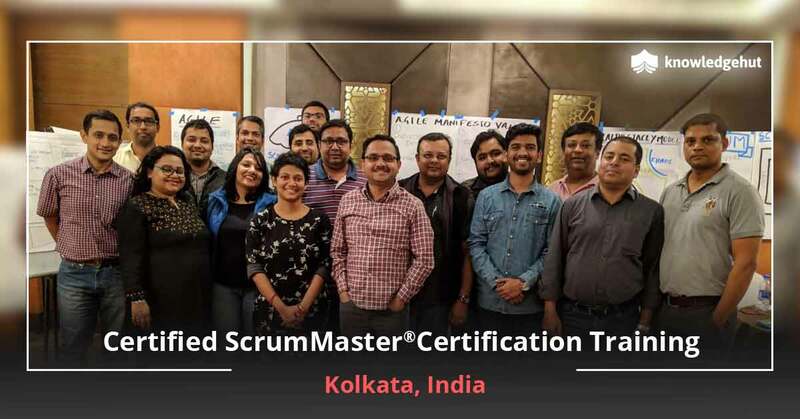 Your next step toward a Certified Scrum Professional after earning your CSM certification and a year of experience working as a CSM on a Scrum Team is to achieve your Advanced Certified ScrumMaster (A-CSM℠) certification. Is the CSM training a basic level under Agile management? The Certified ScrumMaster® course offers training in the fundamentals essential for the Scrum team members or a professional Scrum Master. What are the prerequisites to attend the CSM certification training in Chicago? Professionals interested in this course can attend. A course completion certificate from Scrum Alliance by our Certified Scrum Trainer (CST) ensures your eligibility for the online CSM test. Who should take this Scrum Alliance CSM training course in Chicago? If you are already working as a Scrum Master, then taking this course helps to strengthen your Scrum knowledge and skills. Who are the instructors/trainers for your CSM certification training in Chicago? Professionals licensed by Scrum Alliance to teach the official Scrum Alliance curriculum. Masters in Scrum who have immense experience in leading, applying, coaching, and teaching it. Skilled in product management and software development. Subject experts who are active in software development and local Agile communities, along with the broader global Scrum and Agile movements. Our dedicated team of CSTs conducts training at par with the standards of merit as set out by the Scrum Alliance, making every candidate learn the same high-quality content with no regard to the trainer and the location. They also help you excel in the aptitude and capability needed by you to make a difference in your organization. Where will the Certified Scrum Master workshop be held in Chicago? The training venue is based on the preferences made by most of the individuals, trainers available, venue availability, etc. Find a suitable location for yourself and earn the industry-recognized credentials. Can the CSM online test be taken without undergoing the Certified Scrum Master training? No, it cannot be taken. Scrum Alliance believes that true learning requires in-person training and hands-on experience with a CEC or CST. The CSM exam is not provided as a substitute for formal training. Do I need membership of Scrum Alliance® to attend training for this certification? No. Certified membership is for individuals who have completed the CSM classroom training. Is your 2 days of training at Chicago sufficient to clear the Scrum Master certification exam? In case you are familiar with the Scrum basics available on the Scrum Alliance website, then two-days of CSM training is sufficient to clear the Scrum Master certification exam. After CSM training, within how many days do I need to take the exam ? After completing your CSM course, you will receive an email from Scrum Alliance that includes a link to create your login credentials. After receiving your membership email, you have 90 days to take and complete the test. Are the Certified ScrumMaster training materials effective in preparing me for the CSM exam? Our experienced and highly qualified trainers deliver practical and interactive training programme with accurate, clear, and updated materials to help you understand the concepts clearly and pass your CSM exam without much difficulty. What is the difficulty level of the Certified ScrumMaster® exam? CSM is an open-book exam and is easy to pass. Despite passing the Scrum Master certification exam the activity-based sessions included in the training help in gaining the knowledge of the Scrum concepts and its practical applicability, which are the most significant aspects to understand the Scrum framework. What is the Scrum Master certification exam pattern? The Certified ScrumMaster certification exam is an online test comprising of 50 multiple choice questions with a time limit of 60 minutes to finish the CSM certification exam and obtain the certification. You are allowed to take the exam only after successful completion of the course. How much does the Certified Scrum Master certification exam cost in Chicago? The Scrum Alliance CSM certification exam fee is included in the Certified ScrumMaster training cost. Can I retake the Scrum Master certification test if I fail? Yes. Scrum Alliance allows you to take the Scrum Master exam at no cost for the first 2 attempts within 90 days after you receive your welcome email. You will be charged a minimum of $25 each from the third attempt or after completing your 90 days. Scrum Alliance suggests retaking the CSM course if you have failed thrice in the exam. What is the "CSM accreditation body" exam fee refund policy? The CSM accreditation body is the Scrum Alliance and its exam fee is non-refundable. Is there any CSM sample test available on Scrum Alliance? How will these practice tests help me to get a feeling of what the real test would be like? No. There is no such sample test available on the Scrum Alliance website. But, CSM test blueprint will help you to understand the format of the Scrum Master certification exam. This blueprint outlines the percentage of questions from each domain that will be on the 50-question test. Fortunately, the training and coaching community will not need to make any changes in their materials as the new exam pattern still follows the current Learning Objectives as well as the recently published Learning Objectives. It is highly recommended to practice Scrum Master certification exam sample questions in order to pass the final CSM certification exam in your first attempt. You can take the free Scrum Master certification sample test for practice purposes. How to take online CSM® exam? After completing your CSM course, you will receive an email from Scrum Alliance® that includes a link to create your login credentials. The first step will be to take the online exam. Once the exam is complete, you will be asked to accept a license agreement and set up your online profile. It could take up to two weeks after course completion to receive your welcome email. How will the attendees take the CSM test? The individuals can take the online test from any computer anywhere in the world, according to their comfort (home, work, or other location). The test will not be proctored. Will I be able to pause the test for some time and return to it later? No, there is no option to pause a test since you will have a duration limit of an hour (60 minutes). On the off chance, if you shut the window, you can reopen the window instantly. In case if you lose internet connection or lose access to the test for an extended period of time, you may visit support@scrumalliance.org to start a new test set up. Why there is an update in the CSM test? 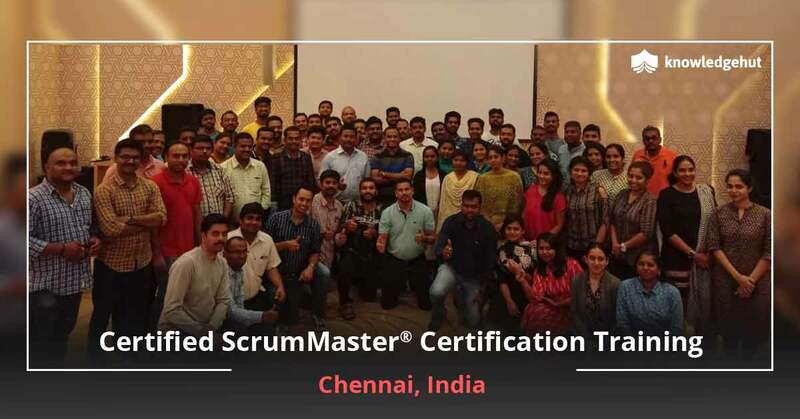 Scrum Alliance always strives to maintain the quality and relevance of the CSM certification by validating the best practices in the Agile industry from active practitioners in the field. The CSM curriculum incorporates the best in current knowledge, skills, and abilities necessary to earn the CSM certification. As such, the Scrum Alliance believes in involving their community to validate what is important in the role of the Scrum Master and then updates the tests to reflect these key areas. If I took a CSM certification course in November or December 2018, will I receive the ‘old’ test or ‘new’ test? If you choose English as your exam language, you will be able to switch to a newer version as the new test has recently got published. If you choose a different language then you may take the older version till that specific language gets published. Furthermore, according to the Scrum Alliance, the tests will be launched in other languages in the coming months, as soon as they inspect and adapt to the launch of the English version. What is the test blueprint? Does it match with the LOs? You will find the test blueprint at the bottom of the CSM page under ‘Resources’, on the Scrum Alliance website. This test blueprint covers the stipulated percentage of questions from each domain. The test blueprint is aligned with the latest version of 2018 LOs. Moreover, the 2018 CSM LOs matches with the November 2017 Scrum Guide. The current LOs can be found on the Scrum Alliance CSM certification webpage and also on ‘Trainer and Coach dashboards’ under “Resources”. Can the CSM® test be re-taken to score better marks if I have fared poorly in my previous attempt? If you've already passed the CSM test, you will not be able to take it again to receive a better score. Your test score is only available to you. Nobody else will be able to see your score on the CSM test. What is Certified ScrumMaster certification? CSM was the first professional certification awarded by Scrum Alliance for Scrum Masters. You will gain a strong understanding of the Scrum Framework, team members’ activities and roles etc. By acquiring this certification, you will be helping the Scrum team work together and perform at their highest level. What is the importance of a CSM certificate? Becoming Agile is a continuous process and a CSM certification is a major milestone towards embracing Agility. Not only will you learn the roles and responsibilities of a Scrum Master but will know how to apply it in a variety of environments. It is a validation of your commitment to continued excellence and quality. Is the ScrumMaster certification worth it? CSM is one of the most popular and globally recognized certifications provided by the reputed Scrum Alliance. 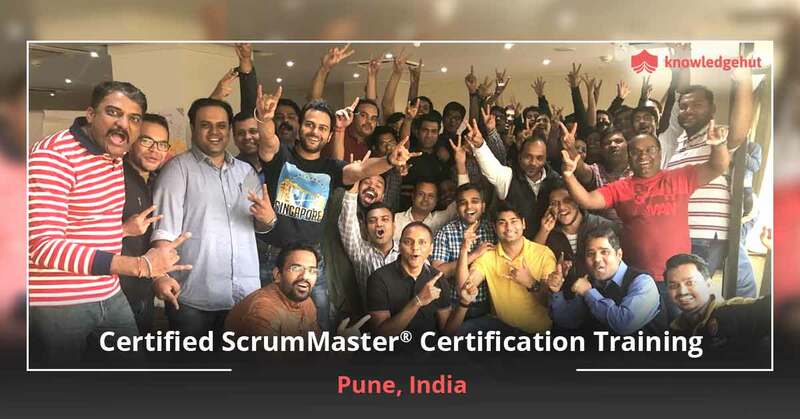 The demand for Scrum Master training and certifications has increased considerably during the last decade. The reason is that Scrum is now being implemented in industries beyond IT and hence the demand for a certified Scrum professional has increased even beyond his/her current industry of experience. 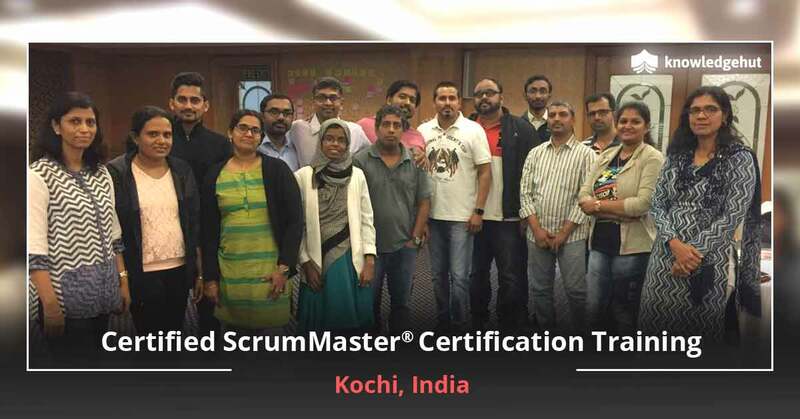 Why should I go for Scrum Master accredited certification? Since Scrum is the most popular Agile framework for project management, Scrum Masters are in demand irrespective of the industry type. If you are working in a company where Agile is being widely used then CSM should be your first choice. Who offers the CSM certification in Chicago? Once you attend the two-day (16 hours) CSM course taught by a Certified Scrum Trainer® (CST®) and pass the certifying exam, you will earn the CSM certification from Scrum Alliance, renowned CSM accreditation body. What is the average salary of a Certified ScrumMaster® Professional in Chicago? According to the salary posted on the salary.com report, the average Scrum Master salary in Chicago, IL is $95,025, but the range typically falls between $82,436 and $111,171. The Scrum Master salary mostly depends on various important factors, including your certifications, additional skills, the number of years you have spent in this job. The average salary of the experienced Scrum Master in Chicago, IL is $121,065, and it typically ranges between $100,614 and $135,296. The necessary skills that impact the salary of the Certified ScrumMaster are Agile methodology, Agile Software Development, ScrumMaster, Project Management, Scrum, Business Analysis, etc. Additionally, you need skills like managerial skills, leadership skills, facilitator, and interpersonal skills to succeed as a successful Scrum Master in your team. 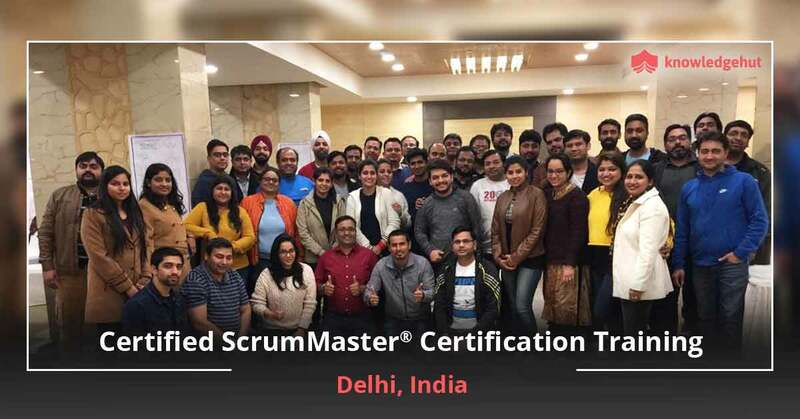 Being a Certified ScrumMaster, you can play roles like Software Engineer, Product Manager, Project Manager, Team Leader, Business Analyst, Development team member, Testers etc. and the designations an individual can play in the organizations are Business Analyst, Lead Software, Engineer, Project Manager, Information Technology, Staff Scrum Master, Delivery Lead, Agile, Scrum Master, Technical Program Manager, Senior Project Manager, Agile Coach, QA Automation Engineer, Software Project Lead, etc. What are the career benefits you gain along with the ScrumMaster certification? Prove your core Scrum knowledge to your peers. How to renew Certified ScrumMaster certification? CSM certification renewal needs to be done every 2 years. You need to pay $100 to extend the credential for a further period of 2 years from the date of your current expiration. In order to renew your ScrumMaster certification, log in to https://www.scrumalliance.org/login, go to your dashboard and choose the ‘Renew Certification’ option available under the heading ‘Actions’. Note that starting from February 4, 2019, you will be required to have earned 20 Scrum Educational Units (SEUs) within the past two years, in addition to the $100 renewal fee that has to be paid. This new requirement has been mandated to validate your participation and continued proficiency in the fundamental principles and practices of Scrum. You can earn the required SEUs by completing an educational training or a learning opportunity. You have worked really hard to acquire the certification. Don’t let it decline! Renew now and hold your certification for 2 years. How can we earn SEUs for certification renewal? There are a number of ways in which SEUs can be earned. You can read here about how to earn your SEUs. What do you mean by PDUs and SEUs? PDUs and SEUs are Professional Development Units and Scrum Educational Units, issued by the Project Management Institute and Scrum Alliance, respectively. Both units can be earned by completing educational training, which serves to validate your participation and continued proficiency in the principles and practices of Scrum. You are required to earn a certain number of SEUs every two years to maintain your certification from Scrum Alliance. PDUs and SEUs are credits awarded by the Project Management Institute and the Scrum Alliance respectively. They recognize your dedication to the Agile world through the award of credits for every educational effort you make throughout your career. Scrum Alliance members who hold a credential from Scrum Alliance need to earn SEUs to get re-certified every two years. PDUs are offered by the PMI®, and every PMI® certification, except the CAPM®, requires you to earn a specific number of PDUs per three-year certification cycle. You can get 14-16 PDUs and SEUs by participating in our 2-day training program. KnowledgeHut’s CSM training program is a live classroom training. This training is ideal for every aspiring individual who wants to build a career in project management. In which other cities does KnowledgeHut conduct CSM® certification training? Certified ScrumMaster training in Chicago by KnowledgeHut will help you to master Agile concepts and get ready to appear for the CSM certification exam. Certified ScrumMaster training in Chicago will make sure that you demonstrate your expertise in scrum technology, providing a professional approach to all your projects. We assure you that you will have a wonderful CSM training in Chicago because our workshops are conducted by the best scrum trainers, having extensive knowledge and experience in this field. Our 2 days interactive session will give you the best in terms of practical as well as theoretical training along with other added benefits. Scrum is the agile development process enabling teams to provide usable software periodically from the initial stage to the final stage. It is important to get hands on understanding of the scrum framework. With us, you can be a full time trainer mastering scrum technology. You need not worry about your CSM certification cost in Chicago because your training cost covers the certification cost for the first two attempts. What are you waiting for? Join today itself and break the norms of just becoming a training manager instead being a master of it. Who wants to be a traditional project manager these days when you can be a ScrumMaster, right? With our 2 day workshop class you can follow good practices and lead a perfect dream team. All you need to do is go through the Certified ScrumMaster course in Chicago and participate in the training session with full dedication and with that nobody can stop you from getting your CSM certification in Chicago. Remember that for third and subsequent attempts you have to pay an additional Certified Scrum Master certification cost in Chicago. You can easily increase your marketability in Chicago by adopting scrum principles in each and every project which will maximize your business value hence increasing profits. Everybody wants their projects to be a success and you can be a champion of it by channelizing your energy towards the right path with the help of scrum. By becoming a ScrumMaster you can teach your subordinates and reach the direct path of success by collective efforts of the team. Chicago with its huge number of IT organizations is the perfect place to pursue the CSM certification. The CSM will give you an edge over your non-certified professionals and ensure higher earnings for you.